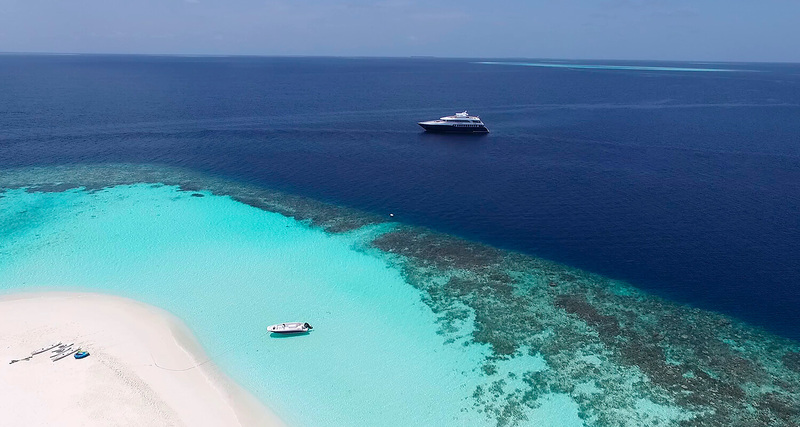 Our Maldives Blue Force One has been awarded as the best Maldivian liveaboard boat (2018). 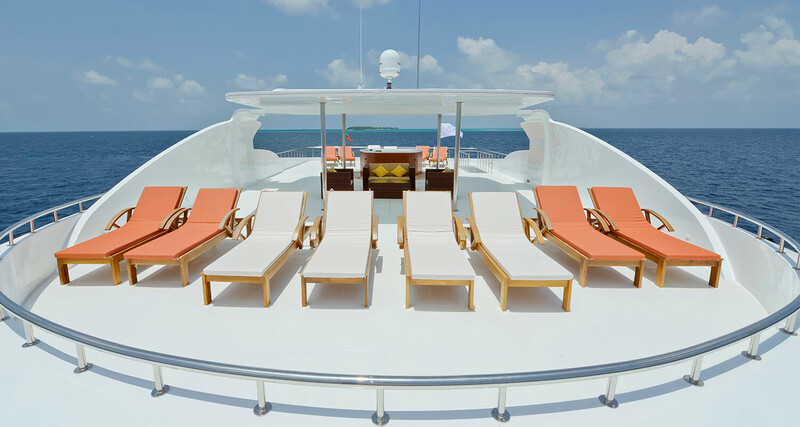 We have designed a perfect boat for you to enjoy your diving vacation without skimping on comfort and details. 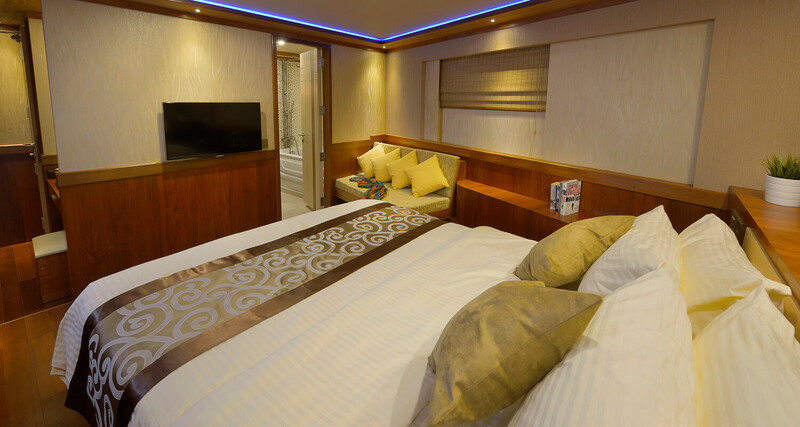 Details such as its 2 outdoor jacuzzis, solariums with sun loungers, outdoor bar, a large lounge and its modern cabins make it an ideal boat for non-divers. 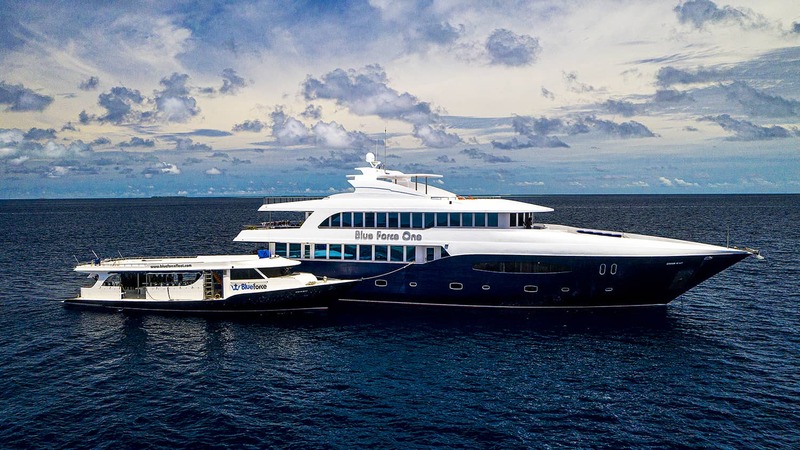 The boat which we have called commercially MALDIVES BLUE FORCE ONE (awarded by the Liveaboard Association of Maldives as BEST BUILT LIVEABOARD 2018) is considered one of the top three boats in the Maldives. It is 42 meters length x 12 meters wide, with a 700cv Caterpillar engine, 3 generators, 2 Caterpillar 65 KW and 1 Onan 27 KW, desalination plant 30 ton /day, 3 air conditioning groups. Last generation inside, outside and underwater lighting system. Touch switches. Electricity: available 24 hours. 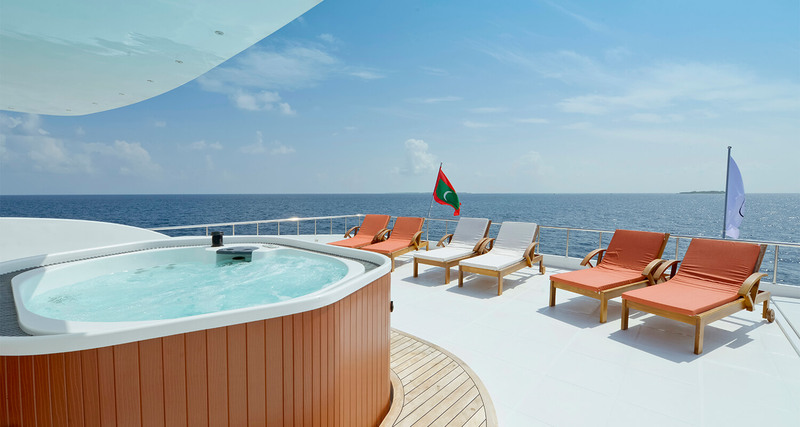 Voltage: 220 V.
Two Jacuzzis outside one in the bow and the other in the stern. 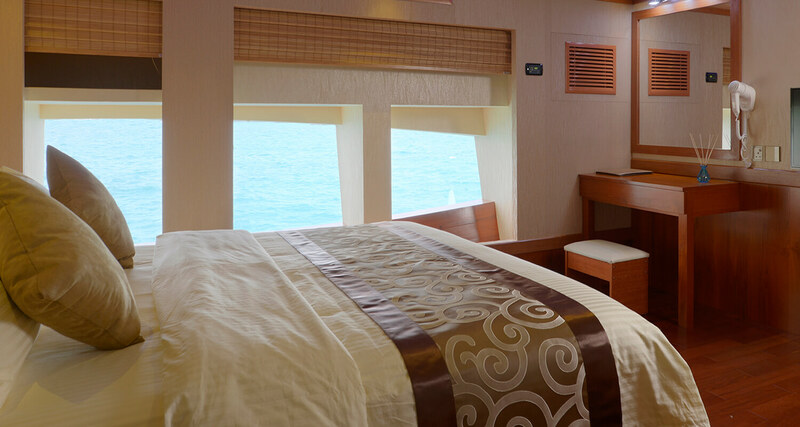 3 solariums with sunbeds and mattresses (in the bow, stern and the upper bridge). 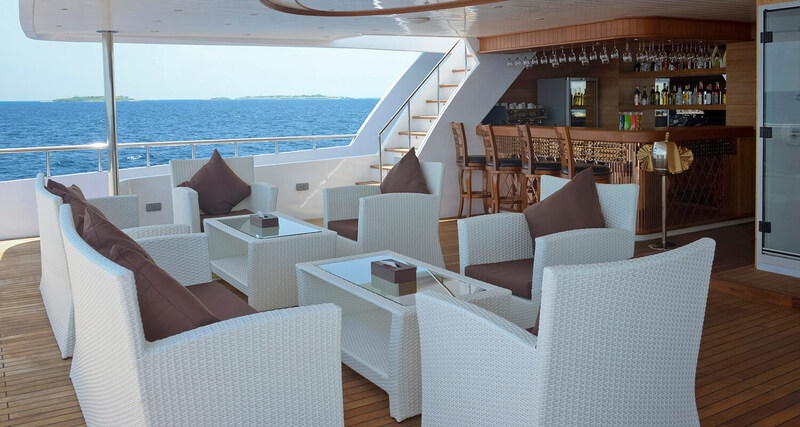 Bar on the upper deck. Living room with sofas, armchairs, 65’ TV with in house channels, satellite navigation and film system. Music equipment including Kayak, paddle sup, Jobe banana. 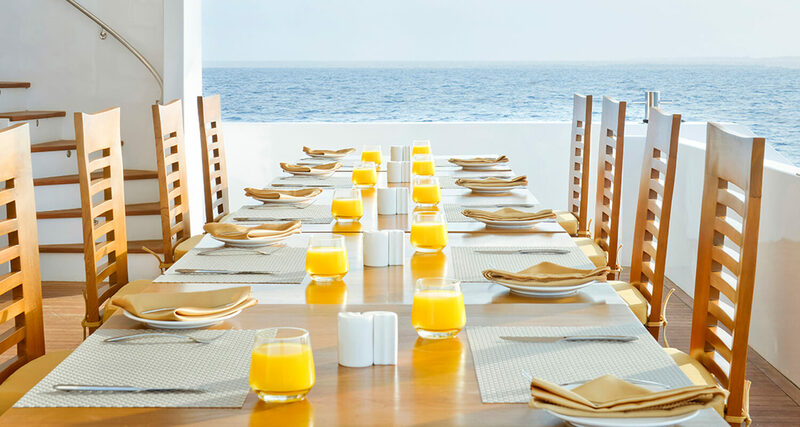 11 excellent cabins for 22 people, 7 wide double cabins, 1 Junior Suite, 1 Master Cabin and 2 Master suites. 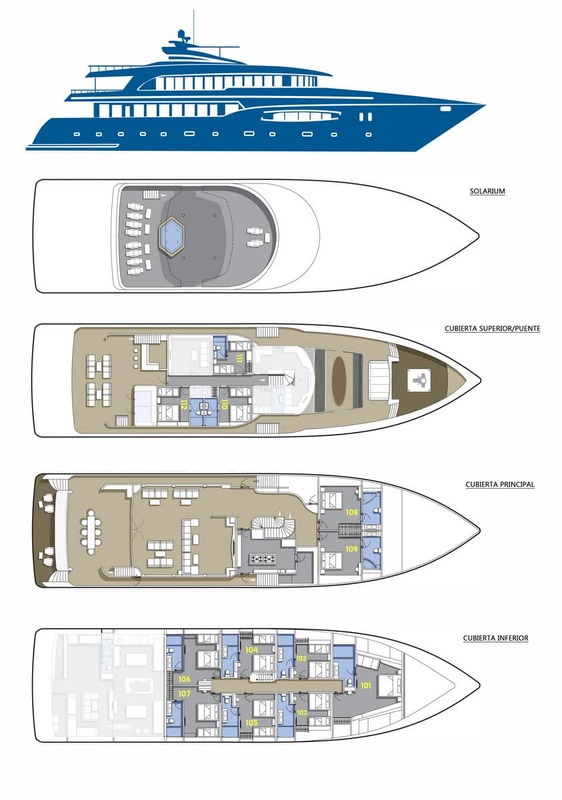 All of them with full bathroom, hair dryer, remote control for lights and air-conditioned, 32’ TV (except cabin 111), satellite, in boat phone circuit, safe, and towels.